fire in my heart was reignited. But after almost ten hours on the road, the last thing I wanted to do was get behind the wheel of anything for an adventure to anywhere, so when we brought up the idea of going for an afternoon walk – I was stoked. The weekend after Thanksgiving marked the first time in forever I’d had some downtime in the area and I wanted to take full advantage of every inch of sunlight. We kickstarted the day from Menlo Park, strolling into a downtown area that felt preserved in time. Green, yellow, and red leaves glided effortless like Rasta confetti while the crisp, clean Autumn air provided refreshing shift from the frigid Winter-like Oregon mornings and perpetual Summer sun and Springtime temperatures of Los Angeles. After going to one of my former favorite haunts for sandwiches, we were off, off and away into Palo Alto to visit some of my favorite hidden gems at the Stanford University Campus. After 31 years, there’s a lot that’s changed in the Bay Area – but thankfully for me, this is one of the few areas that’s stayed the same – and it holds some of my favorite local landscapes like – like Stanford‘s Arboretum, Mausoleum and the Arizona Cactus Garden. 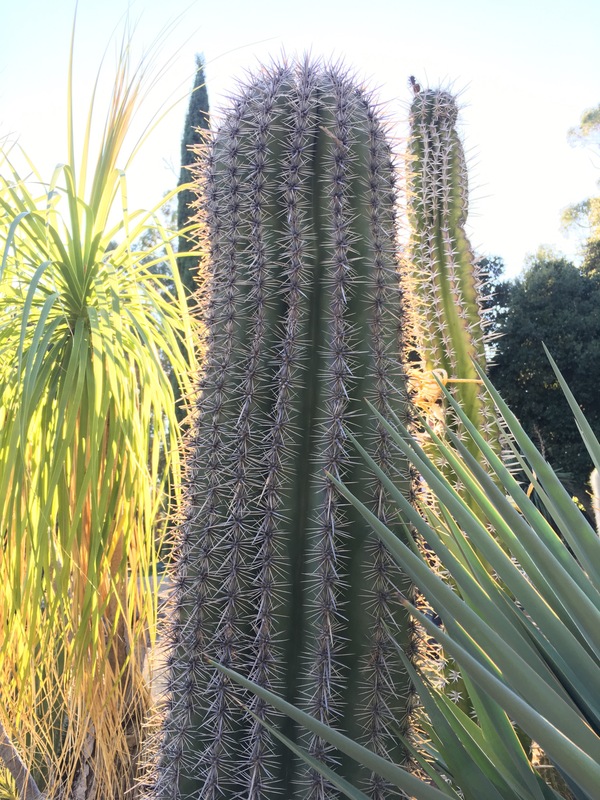 The cactus garden is one of the few remaining landscape artifacts from Leland Stanford’s estate. Officially named Leland Stanford Junior University, the campus was established back in 1885 in memory of Leland Stanford’s son. Not only was Leland Stanford a former Governor and U.S. Senator, but he was also the Co-Founder and President of the Central Pacific Railroad. Originally, there were plans to build a mansion on the plot of land but once his son passed away from typhoid fever, plans were amended to build a university instead. A true testament to their sense of community, the Stanford’s took it upon themselves to ensure that the entire generation their son would be part of would build a successful world. 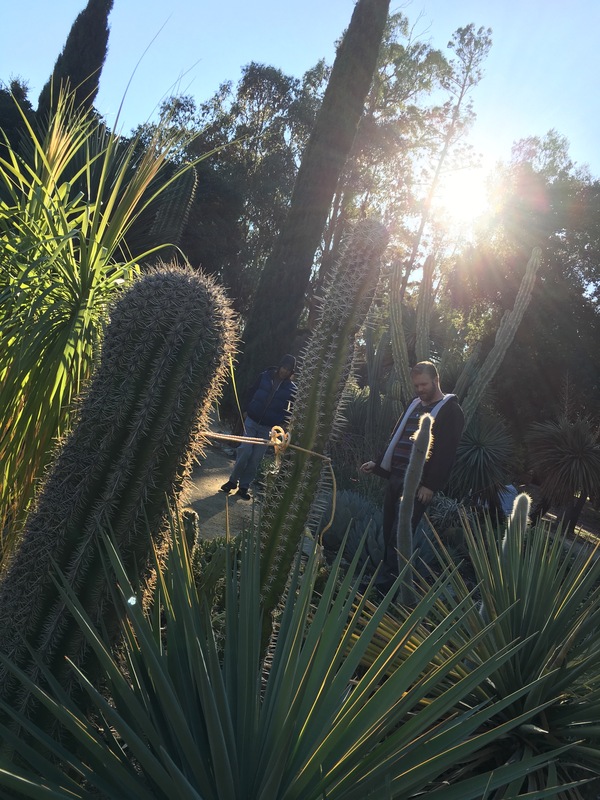 A beautiful and lasting testament to the transformative power of love, the cactus garden was restored in 1977 and currently holds over 500 species of cactus and succulents separated by geographic hemisphere and continent. And let me tell you, these specimens were out of this world! I’ve never seen a Joshua Tree so grandiose or cactus so threateningly tall. Plus, there’s nothing quite like seeing the neon blossoms in striking dichotomy against moody shades of green. Photos from myself, with additional photography from Daniel Leist.